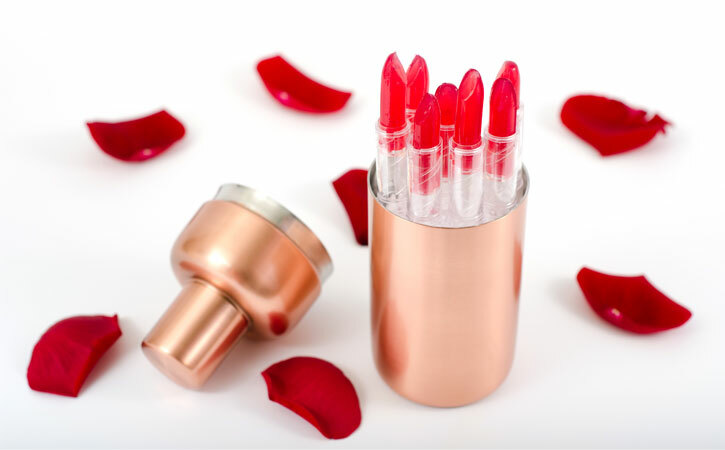 Add some fun to your mixology repertoire with a fragrant rose cocktail gel presented as an edible lipstick. This innovative cocktail recipe is sure to spark some entertaining conversations and reactions from your guests. The rose scent, which is usually found in many cosmetics, adds to the sensory experience of this edible cocktail that can be served by itself or as a complement to the liquid version of the same concoction. Edible lipsticks were first introduced in modernist cuisine by Chef Jordi Cruz at his 2 Michelin Star restaurant ABaC. In our store we have the same lipstick molds and translucent retractable bar holders Chef Cruz got made for his restaurant (get Lipstick Mold Kit). You can not only make edible lipsticks with agar gels like in this case but also with fruit puree, chocolate, sorbet and cocoa butter. Watch the video below in which we show you how to make raspberry lipsticks with these same molds and have some fun! The cocktail is a tweaked cosmopolitan with the fragrance of roses for a more sophisticated and unique taste. 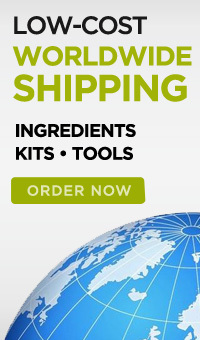 We use the new 100% natural Rose & Hibiscus Flower Extract, a high quality flower extract made from premium Bulgarian rose and hibiscus flowers. This combination of flower extracts is rounded out by the mixed berry-like taste of the hibiscus so the rose doesn't overpower. 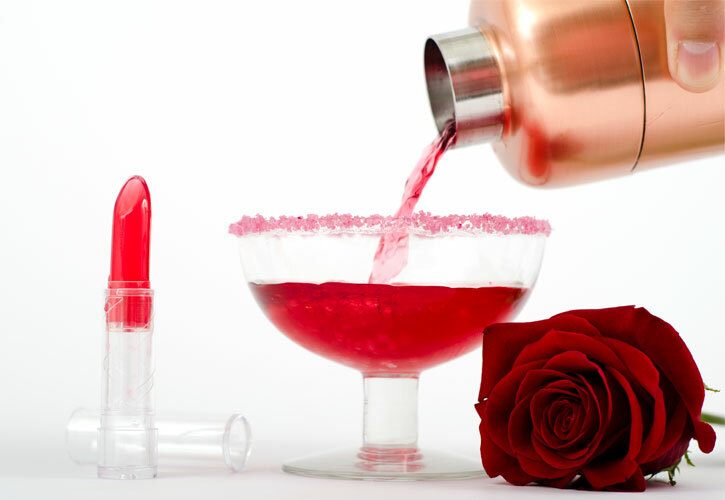 If you are going to serve the edible lipstick as a complement to a rose liquid cocktail, you can use the Mini Flower Crystals Rose for the rim. 1- Add cranberry juice, simple syrup and lime juice to a small saucepan. 2- Sprinkle with agar agar and allow to soak for five minutes. 3- Bring mixture just to a boil. 4- Reduce to low heat, and simmer for 1 to 4 minutes until you can see that the agar agar is fully dissolved. 5- Remove from heat and let the temperature drop to about 113°F/45°C. 6- Add the vodka and Rose & Hibiscus Flower Extract to the agar agar mixture and stir well. 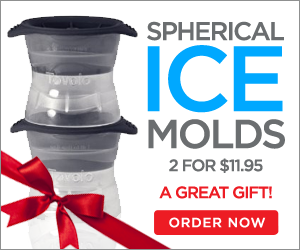 Don't let the temperature drop below 88°F/32°C or it will start to gel before filling the mold. 7- Fill the lipstick bar mold. The agar mixture will leak a little through the mold but don't worry, this is normal with this type of mold. To minimize leaking we are filling the mold just above gelling temperature, we don't wan't the mixture to be too hot. 8- Place mold in the refrigerator for a few hours to set the agar agar. 9- Open mold and remove gelled lipstick bars and place them in the retractable lipstick bar holder. 10- Serve them cold. You can store them in the refrigerator for a few days.